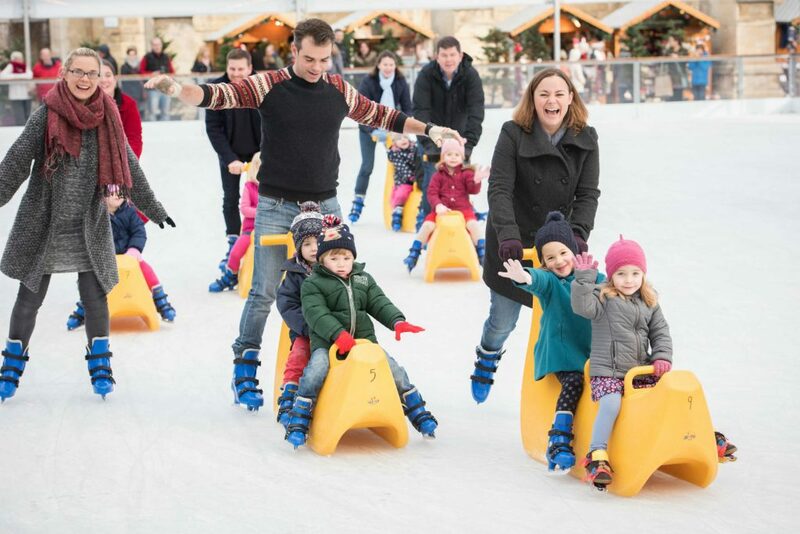 Enjoy festive, rain-free skating at the heart of Winchester Cathedral’s Christmas Market! New for 2018, a huge Christmas Tree in the centre of the Ice Rink will fill our skaters with festive cheer. Winchester Cathedral Ice Rink is spectacularly situated in the centre of the Cathedral’s historic Inner Close and, until 22 December, it is surrounded by the Christmas Market. The clear roof guarantees a rain-free skate whatever the weather and fun skate aids make it an ideal rink for adults and children alike. Please give yourselves plenty of time to travel, park and get to the Ice Rink. At weekends during the Christmas Market the site is extremely busy and queuing systems are in place. We recommend you aim to arrive at least 30 minutes before your skating session is due to start.